Canines to the Rescue — Again! 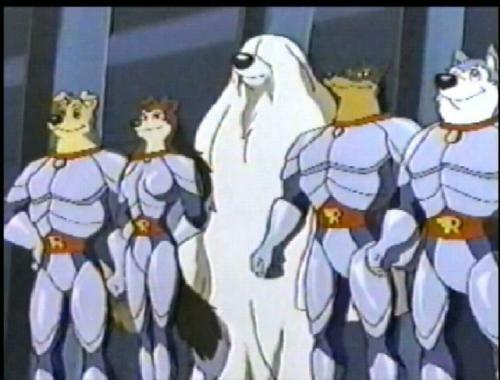 Squarely in the “It’s about time!” department: Warner Brothers Home Video has announced the release of Road Rovers: The Complete Series on DVD later this month. “Meet ‘Cano-sapien’ the next, heroic step in the evolution of man’s best friend! After the evil General Parvo unleashes Professor Shepherd’s inventions upon the world, mutating dogs into monsters, Professor Shepherd recruits an international team of canines and transdogmafies’ them into super-heroic, humanoid crime-fighters.” That description barely scratches the surface of just how completely odd this popular anthropomorphic cartoon series from the 90’s could get. So head on over to the Warner Brothers web site and check it out. And remember: Don’t be weird boy! 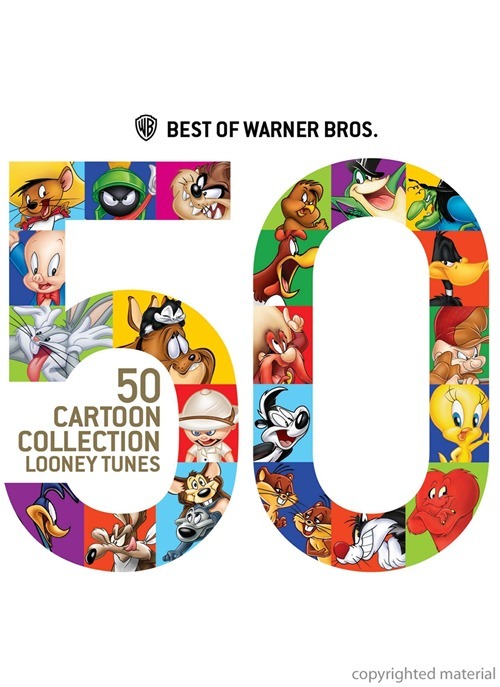 Warner Bros. are celebrating their 90th anniversary, and in honor of that are releasing a series of DVD collections known simply as The Best of Warner Bros.. Around here, the collection most folks are likely to find interesting is The Best of Warner Bros.: 50 Cartoon Collection — Looney Tunes. This 2-DVD set is coming out this week. Here’s the skinny, from CD Universe: “It’s always ‘wabbit’ season now that the best Looney tunes Cartoons from the Warner Bros. vault are available in this wild two-disc collection! Reunite with Bugs Bunny, Elmer Fudd, Porky Pig, Tweety Bird, Sylvester, Daffy Duck and all the Looney Tunes gang in an animated assortment of hits that have tickled the funny bones of cartoon lovers for generations. There’s something for everyone in this must-own collection of 50 Looney Tunes classics that helped contribute to 90 years of Warner Bros. cartoon magic. ” There are bigger box-set collections out there, but this best-of collection brings together many well-known favorites like Rabbit of Seville, One Froggy Evening, Duck Amuck, and more, all in one set. image c. 2013 Warner Bros.
More Chuck Jones than you can shake a cartoonist at! On Presidents’ Day weekend in Los Angeles, February 16 – 18, The Cinefamily and the Chuck Jones Center for Creativity will present a three-day Chuck Jones Centennial Celebration, in honor of the 100th anniversary of his birth (which was on September 21, 1912 actually, but what’s a few months among friends? ), at the Silent Movie Theatre, 611 North Fairfax Avenue, Los Angeles, CA 90036; (323) 655-2510. The program begins at 4:00 p.m. on Saturday and Sunday, and at noon on Monday. The Cartoon Brew has reported earlier on Warner Bros. making tests of live-action/CGI versions of Marvin the Martian and Hong Kong Phooey for “live-action” features featuring the cartoon stars. Now the CB has that test footage, thanks to director Alex Zamm. While Marvin the Martian is borderline anthropomorphic (what else could he be? 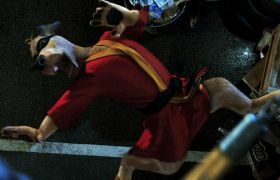 ), Hong Kong Phooey, based on Hanna-Barbera’s 1974 TV cartoon, is undeniably anthropomorphic. The Cartoon Brew says, “Quick! Check these out before they remove them from the internet…”, which presumably means that this may be considered too embarrassing to leave up for long, due to the literal toilet humor.. Wired reports that Chicago artist Rob Loukotka has created an advertising poster for fictional ACME Corp. that shows 126 of its products that Wile E. Coyote has ordered in his attempts to catch the Road Runner, including the jet-propelled tennis shoes, rocket-powered pogo stick, and tornado seeds. Loukotka has other posters, but this is the only one with an anthropomorphic tie-in. For fans of Robert McKimson’s Leon Schlesinger/Warner Bros. 1940s-1950s theatrical cartoons, there will be a screening of 35 mm. prints of eleven of them on Friday, December 7, 2012 at 7:30 p.m. at the Aero Theatre, 1328 Montana Avenue, Santa Monica, CA 90403; (310) 260-1528. The eleven, which McKimson was the director of, include Hillbilly Hare, Devil May Hare, Rabbit’s Kin, Hot Cross Bunny, The Foghorn Leghorn, Bedevilled Rabbit, Bill of Hare, Tabasco Road, The High and the Flighty, Falling Hare, and Walky Talky Hawky; featuring Bugs Bunny and Foghorn Leghorn & Henery Hawk. This event is in celebration of publication of the brand-new biography I Say, I Say….Son! A Tribute to Legendary Animators Bob, Chuck, and Tom McKimson, by Robert McKimson Jr., with a foreword by John Kricfalusi (the creator of Ren & Stimpy) and an introduction by Darrell Van Citters. McKimson Jr., Kricfalusi, and Van Citters will sign copies of the book in the lobby beginning at 6:00 p.m., and hold a discussion following the screening. The Anthropomorphic Literature and Arts Association (ALAA) has inaugurated its Hall of Fame with its first three inductees, announced tonight at a ceremony at the Rainfurrest 2012 convention in Seattle. The ALAA Hall of Fame is intended to honor those so prestigious that it is impossible to imagine the field of anthropomorphics without them. A person - a character - a book - a film - a comic strip - a Hall of Fame honoree is as well known to the general public as Sherlock Holmes, Superman, or William Shakespeare. The inductees to the ALAA Hall of Fame are chosen by a vote of the fifteen members of the ALAA Committee during July, with runoffs extending into August if necessary. There are many potential honorees, and those outvoted in one year may be renominated in future years. 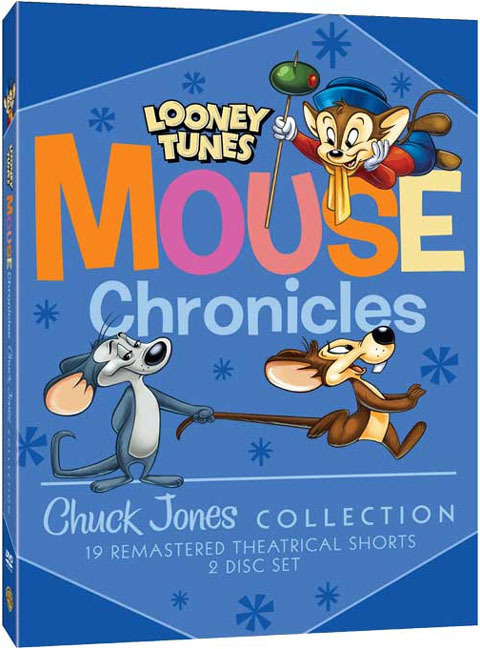 For fans of anthropomorphized mice, Jerry Beck has announced on The Cartoon Brew website that Warner Bros. is releasing “Looney Tunes Mouse Chronicles”, a complete DVD and Blu-ray set of all Chuck Jones’ Sniffles the Mouse and Hubie and Bertie cartoons, on August 28. 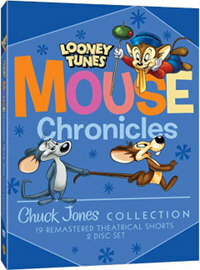 The two-disc, 133-minute set will contain 19 restored complete cartoons and one brand-new featurette, “Of Mice and Pen”. There will be the usual audio commentary by animation historians and animators. Some of these cartoons have been released for collectors before, but this is fans' first chance to get all of the Sniffles and Hubie & Bertie cartoons together, in the latest state-of-the-art film restoration. If you don’t know about the McKimson brothers, you should — especially if you love anything about 20th Century animation. Chuck, Bob, and Tom might not be the household names that Chuck Jones and Friz Freleng have become, but they probably should be as they had their hands in an amazing number of animation projects. Now there’s a new book by Robert McKimson Jr., I Say, I Say… Son! that attempts to fill you in on their amazing story. This new hardcover book is arriving from Santa Monica Press in early July, but here’s a preview from Amazon: “The first survey dedicated to the work of the McKimson brothers, this book offers a rare behind-the-scenes look at the upper echelon of 20th-century animation and examines the creative process behind the making of numerous popular characters and classic programs. 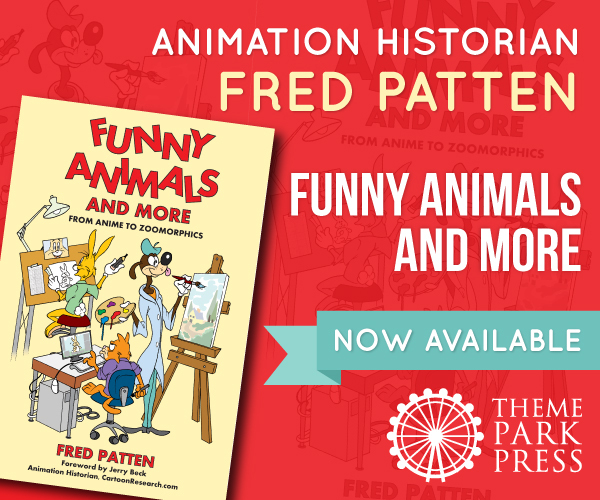 Featuring original artwork from the golden age of animation, this book includes a wealth of material from many professional archives—screen captures, original drawings, reproductions of animation cels, illustrations from comic books, lobby cards, and other ephemera from the author’s collection—while surveying the careers of three groundbreaking animators whose credits include Looney Tunes, the Pink Panther, and Mr.
A new take on Wile E. Coyote is popping up in 3D shorts shown before Warner Bros. movies. This short, "Coyote Falls", was shown before Cats & Dogs 2. Future shorts are expected before Legend of the Guardians ("Fur of Flying") and Yogi Bear ("Rabid Rider"). Extended versions form part of The Looney Tunes Show, airing from November on Cartoon Network.